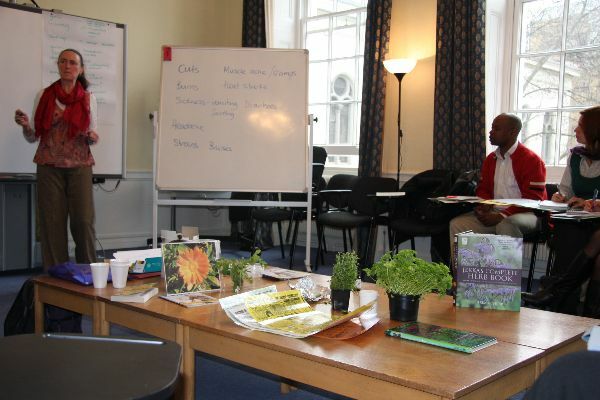 Each workshops costs £45 with all materials, recipes & remedies. These are 3 hour workshops which run from 12pm to 3pm. Booking needs to be made at least 2 weeks in advance. All raw materials, containers and equipment you will need will be provided. At the end of the workshop you will be able to take home the remedies we make along with the recipes so that you can make them again at home. The venue is in Crouch End, North London. Please contact me to book & for travel details. I offer one day herbal sessions where the mornings are spent discussing everyday common health conditions and how they can be managed using herbal remedies and the afternoons are spent making herbal remedies. Any of the following talks and workshops can be booked for groups of 5-10 people. I can also come to you. We need a kitchen with a cooker, table and work surfaces and space to comfortably hold the group with seating available. Cost for each whole day herbal session is £60 per person. This includes comprehensive handouts and all materials, recipes and remedies to take home with you. Informal talks can also be arranged without the practical session & run from 1.5 hrs to 2 hours. Cost £10 - £20 per person income dependent. 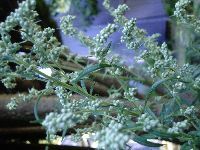 The workshop includes an informal introductory talk on herbal medicine focusing on some familiar plants including those “weeds” you usually want to get rid of looking at how they can be used to support your health? This is followed by a practical session where you get the chance to make some simple herbal remedies that you can make and use at home. All recipes, ingredients and necessary bottles and jars will be supplied. This talk and workshop will cover remedies found in most kitchens and other useful plants to support and protect ourselves from the common cold and flu viruses. In the practical session we will be making syrups. Again, all recipes, ingredients and necessary sundries will be supplied. How Well Is Your Digestive System? Here we will be looking at how our digestives system works. We will discuss common digestive problems, how what we eat impacts on our health and meet some herbs that can offer support and prevent these problems. We will prepare a liver flush and a mixture of herbs to make a comforting pleasant detox tea. Stressed! Tense Nervous headache? Not Sleeping? Lets look at some herbs and lifestyle strategies that can help us manage these times. We will try a simple breakfast recipe to provide a good start to the day along with some useful herbs and a nice cup of tea! Learn how to care for yourself and those around you. Deepen your knowledge and understanding of how your body works and how we change from one phase of life to another. We will look at common complaints of the female reproductive system and how some simple dietary measures, lifestyle and medicinal herbs can be used to prevent health problems and also to treat imbalances and illnesses if they occur. One day workshops run from 10.30 to 3.30 or an afternoon session 12 - 4pm. Refreshment breaks will be negotiated.